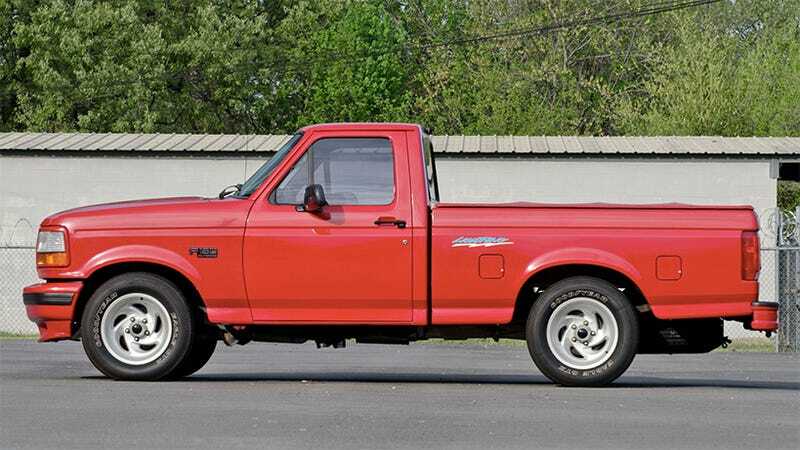 Comment Of The Day: Does A Performance Street Truck Make Sense? Today we heard about a creative Ford dealer turning a humble little work truck into a tire-slaying toy with some made-up pedigree tossed in for extra awesomeness. But the idea of a new Ford Lightning made some people kind of confused. I’m going to go ahead and award Rdmstr86 with today’s Comment Of The Day for bringing up a point many people struggle with when it comes to hot rod pickup trucks that aren’t meant to go off-road. Is it stupid to have a lot of horsepower in a machine that’s never truly going to be able to put it to the ground efficiently, or go around a corner without leaning like a Spanish galleon in a gale? I think it’s important to remember that “objectively better” does not necessarily mean “more fun.” When it comes to whipping around a parking lot and making fun farty noises, a slammed gas-slurping pickup truck can be a riot. That said, maybe it is a waste of all that energy. Either way, I’d like to thank Rdmstr86 for bringing it up. Your reward is this this weird music video I found that has some old hot rod looking things in it. Not quite street trucks, but as close as I could find in 20 seconds of research.